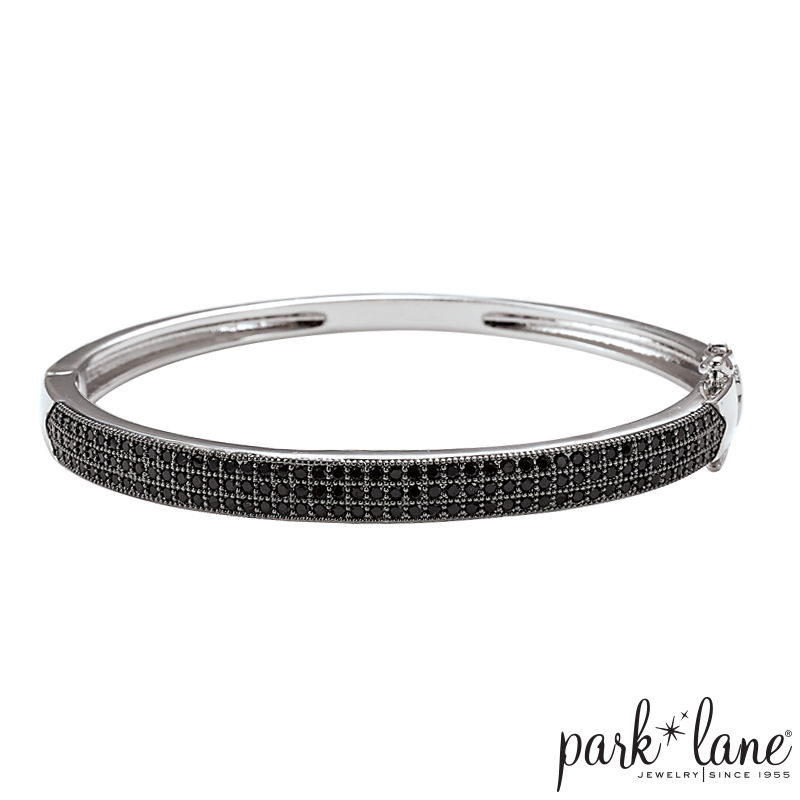 This sleek and sophisticated silver bangle is set with rows of miniature jet CZs. One is beautiful, but wear several, or stack with other bangles for a spectacular “arm party”. Locking clasp.